Congratulations. You have arrived in one of the world’s happiest and healthiest countries. The Netherlands consistently ranks in any top ten list for health care quality. If as an expat you need medical care, you can rest assured that you won’t have to worry about the costs, due to the wide-ranging health insurance system. As you will find on page .., the mandatory basic insurance package (basisverzekering) covers a large number of medical services. With additional coverage you can choose to opt in for more services as you see fit. If you are on a low income, the government will fully or partially reimburse your insurance premium. • Basic healthcare, which includes GP visits, short hospital stays and a wide range of special care procedures. • Supplementary care, including physiotherapy, dental care and cosmetic operations. • Long-term care for chronic conditions, including disability expenditures, which may fall fully or partially under the first and second categories of mandatory and additional insurance. Before you select an insurer and health coverage package, the first thing to do is to find a general practitioner (GP, or huisarts) close to where you live. You can find them online at Ik zoek een huisarts (Dutch), in the yellow pages (www.detelefoongids.nl), at your local municipality, or just ask your neighbor or a local Facebook group for recommendations. Your GP is the first point of contact whenever you have a health issue. Some doctors offer walk-in visits, but many only see patients by appointment. Some doctors also do home visits, especially for frail and elderly patients. As the gatekeeper of the medical system, only a GP can refer you to a specialist or the hospital (for non-emergency situations). He or she will probably request to go discuss your medical history, so that any future caregivers have the advantage of having your latest health records. Unlike most other countries, in the Netherlands it’s not advisable go directly to the emergency department (spoedeisende hulp). You can do so, but you will either be referred back to the GP, will have to wait a long time to be seen, and will most likely have to pay out of your own eigen risico (see page 75). If there is a life-threatening situation, call 112 for an ambulance. Otherwise, you will have to call your GP, who will refer you to the emergency department. If your GP is unavailable, you call the on-duty GP center (huisartsenpost). You GP’s answering message will give you the number of the on-duty GP centre, or you can look online for huisartsenpost and your location. • General hospitals deliver good care, but are less specialized and will refer you to other hospitals if you suffer a complicated illness. • Teaching hospitals work with centers connected to medical schools for training healthcare practitioners. • Academic hospitals are directly connected to the major medical universities of the Netherlands. Many doctors are also researchers and these hospitals deliver the greatest variety of specialized care. When staying in a Dutch hospital, you are likely to share a room or ward with up to five other patients, possibly of mixed gender. There are special wards for children in every hospital. The Netherlands also has a number of specialized children’s hospitals, with more facilities to keep the little ones entertained or even help them with their school work. Some children’s hospitals allow parents to stay overnight in on-site accommodation. If you are in need of specialized, non-emergency care, you will probably be referred to a hospital. In this case, you will need a referral from your GP, which you will also have to send to your insurer for your expenses to be covered. As soon as you have your referral, you can go to the specialist your GP recommends, or look (online) to find out which specialist you prefer. You can make an appointment with the specialist’s office directly. On kiesbeter.nl (Dutch) you can compare hospitals and their specializations, as well as private doctors, in order to find one that’s best suited to your needs. When visiting a hospital for the first time, you need to register at the front desk with your contact details, the name of your GP and your insurance information. This information will then be recorded and stored in the hospital system. You will receive an electronic patient card (patiëntenpas) which you will have to bring on each visit. With this ‘medical passport’, your history can be accessed by the doctor treating you, and your bills will be sent automatically to your insurance company. If you are referred to a hospital, you will also need to hand in your GP’s referral and any notes he made. They will be passed on to the specialist before you go in. During the first appointment, which typically doesn’t take longer than ten minutes, a first diagnosis will be made in order to decide on further treatment. This could be an extended therapy trajectory, a referral to another specialist or additional tests. All dentistry is private in the Netherlands, and basic insurance policies do not cover going to the dentist (children under 18 and specialist dental care, like surgery, are the exception). Most dentists operate from their own practice, although more and more practices now work together with various dental specialists. You need to take out additional insurance if you want your dental costs to be covered (up to 75%). Pretty much all insurance companies offer an extensive dental plan under the additional coverage (aanvullende verzekering). You will usually find the most specialized forms of dental care, such as surgery, at a hospital; orthodontists mostly work at their own practice. To visit specialized dental care, you’ll need a referral from your regular dentist. If you’ve had an accident and need to recover, or if you suffer from chronic or acute physical problems, you may need physiotherapy. The basic health insurance package only partially covers physiotherapy, depending on your age and therapy needs. You can take out additional insurance for care that is not included in the basic insurance package. Those younger than 18 get their first nine sessions reimbursed, possibly followed by another nine. Those over 18 with a chronic condition will have to pay for their first 20 sessions, after which all physiotherapy is fully paid for. If you have mental health problems, you can contact your GP or company doctor, or look for help online. If the problem becomes too serious for you to handle on your own, your doctor might refer you to specialized care. Going to a psychologist, therapist or counsellor for primary care (mild to moderate problems) and secondary care (serious and complex psychiatric disorders) are both covered by your insurer, but do check your insurance policy to determine whether you should take out additional coverage. If you wish to live and work in the Netherlands, you are required to take out Dutch health insurance, regardless of your insurance back home. If you come from outside the EEA (EU plus Norway, Iceland and Liechtenstein) or Switzerland, you have to register with a health insurer within four months of receiving your residence permit. EEA citizens and Swiss need to take out insurance within four months of registering at a Dutch municipality. Failure to sign up for insurance leads to a €386,49 penalty for the first three months and the same amount for the next three months. After nine months, you will be automatically enrolled with an insurer, which will automatically deduct the monthly payments from your salary. If you happen to get sick while uninsured, you’ll have to pay for all medical costs yourself. You can enroll all your children under 18 for free; your newborn baby has to be registered within four months after birth. In the Netherlands, the government guarantees access to healthcare for all, and care is generally of a high quality. It is funded through income taxes and mandatory health insurance fees. Aside from the mandatory basic insurance package (basisverzekering), you can also opt for additional insurance (aanvullende verzekering). 1. Your monthly premium (premie), which is a fixed fee that you pay each month. 2. Your deductible (eigen risico), an annual amount that you pay out of your own pocket for basic treatments and medication (with maximum of €385), before insurance kicks in. If you have no medical costs, you won’t have to pay this. Some types of care are not part of the deductible and are therefore always paid by your insurer: visits to your GP, dental care and physiotherapy for children under 18, pregnancy and birth care and maternity care. • Ambulance services, staying at a hospital, emergency treatment and surgery. • Medicine prescriptions and blood tests. • Dental care for those under 18. • Mental health care, care for the disabled and elderly and home care. • Visits to medical specialists, like dermatologists, oncologists et cetera. • Pregnancy and birth care and maternity care. • Physiotherapy for chronic problems, starting from the 21st treatment onwards. • Dental care for adults over 18. • Alternative medical treatments, including homeopathy, chiropractors and acupuncture. • Glasses and contact lenses. • Emergency health care abroad. For those on a low income, a contribution (zorgtoeslag) is made by the government to help cover monthly premiums. To receive this allowance, your annual income as a single person should not exceed €28.720, or €35.996 if you have a fiscal partner (married or living together). Furthermore, you do not qualify if you own assets worth over €113.415 for an individual or a combined €143.415 for couples. The maximum monthly allowance you can receive is €95 for singles and €176 for couples, depending on your total income. On the website of the Tax Office you can see if you are entitled to zorgtoeslag and how much you will receive. Here you can apply for this allowance, using your DigiD. • Dutch insurance companies are not allowed to deny basic coverage to people with pre-existing conditions, but they can refuse additional coverage packages. • You can change your health insurance provider only once a year, before 31 January of the current year. Usually insurers announce their prices for the next year in November, so December and January are the months in which you can change providers. • Ask your employer whether they participate in a healthcare collective, which will give you a discount on the premium. If not, you can join a ‘coverage pool’ offered by some businesses and associations, as well as the city of Rotterdam, which will give you small discounts on your premium. • For certain (specialized) service there may be long waiting lists. Your insurer may be able to mediate in order to reduce the waiting time, so get in touch with them to ask for advice. If you are in need of medical care but don’t have to stay in a hospital, you can apply for a wide range of home care services. More than half a million people in the Netherlands depend on nursing, maternity care, household care, personal care or specialized care at home. There are many types of organizations in the Netherlands providing home care, thuiszorg being the largest and best-known. Aside from long-term care it is also possible to apply for home care for a short period of time, for example if you’- ve just undergone surgery, to prepare for giving birth or receive follow-up care after giving birth (kraamzorg). To apply, you can look up the different services in the Yellow Pages (detelefoongids.nl), ask your doctor or have a look at zorgkaartnederland.nl/thuiszorg (Dutch). Home care may be covered by your insurance and/or supplemented by your municipality. You may also have to pay some expenses out of pocket, but you may be able to get additional insurance coverage for this. When you are pregnant, you will be asked if you want to deliver your baby in a hospital or at home. The Netherlands boasts the highest number of home deliveries in the world (23%) and giving birth here is considered a natural process, that should be done with as little outside intervention (including medication) as possible. After giving birth, the mother will receive professional help at home (kraamzorg) for at least one week. An nurse looks after the mother and infant, helps around the house if needed, gives guidance on breastfeeding and looks after other family members, especially other children. If you are new to the country, this kind of support is highly valuable! Aside from medical assistance, elderly or disabled people may need help with running their household. The government aims to let people live in their own home for as long as they can. An assessment is made of the needs people may have, as well as how family, friends and neighbors can assist. As a result, most home care consists of a mixed program of nursing from official care providers and help around the house from informal carers. Non-medical assistance with basic day-to-day activities includes help with getting in and out of bed, getting dressed and undressed, moving around the house and going outside, eating and drinking, using the toilet, personal hygiene, grooming, taking medication, meeting up with friends and take part in social activities. Those depending on home care can also receive shopping assistance and dietary advice. By law (Healthcare Insurance Act, or Zorgverzekeringswet) healthcare insurers are responsible for medical care and nursing at home, until someone is admitted to hospital. Together with local nursing organizations, insurers assess the needs of their clients and draw up a care plan together with the client. 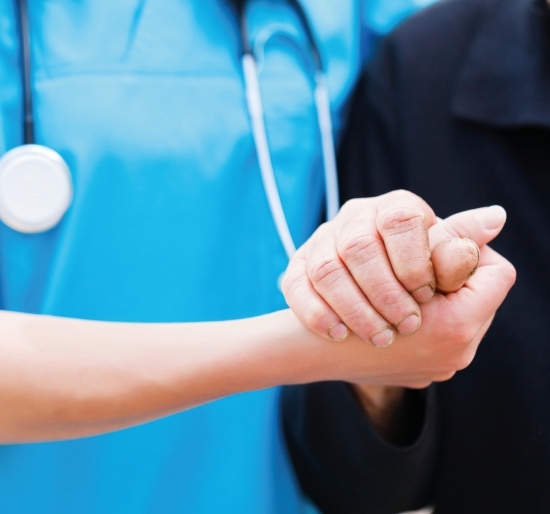 As the main providers of care, district nurses are the first point of contact and liaison with the municipality to coordinate a client’s needs. They also stay in touch with family and friends and other informal caregivers. When registering with your GP, you will also be required to register with a pharmacy. Any prescription by your GP will be communicated directly to your pharmacy, which will check for possible errors. Depending on your insurance scheme, you may not have to pay out of pocket for your medication, and the bill will be sent automatically to your insurer. For those receiving home care, it is possible to have the medications delivered to your home free of charge. Another possibility is to have the medication picked up after hours in secured pick-up boxes.